At our Scarsdale, New York Acura dealership, you’ll find a premium selection of used cars and certified pre-owned vehicles to choose from. 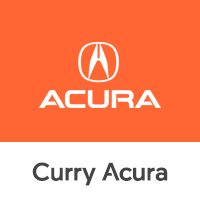 Whether you’re interested in finding a certified used Acura ILX compact sedan, or an Acura MDX SUV, we have the Acura vehicle you’re looking for at Curry Acura. To get started, browse through our large inventory of certified used cars today. You’ll find a certified pre-owned program you can trust at our used car dealership in Scarsdale, NY. In addition to great pre-owned car warranties and other perks, every certified used car is under six years old, has less than 80K miles, and undergoes a 182-point vehicle inspection to qualify for this program. Stop by Curry Acura to start the car-buying process today and test drive one of our certified pre-owned vehicles. Valuing your trade at Curry Acura is yet another way to experience extra savings on our already affordable certified pre-owned vehicles. Ready to take the next step and see what other savings options are available? Give our finance center a call or fill out our auto financing application today. We look forward to helping you find your dream car!